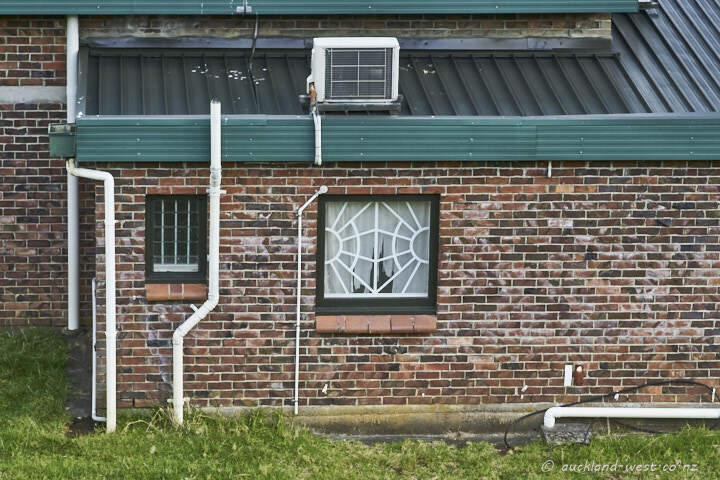 The north facing wall of this Watercare service building at the foot of the Lower Huia Dam gets plenty of sunlight year-in and year-out. 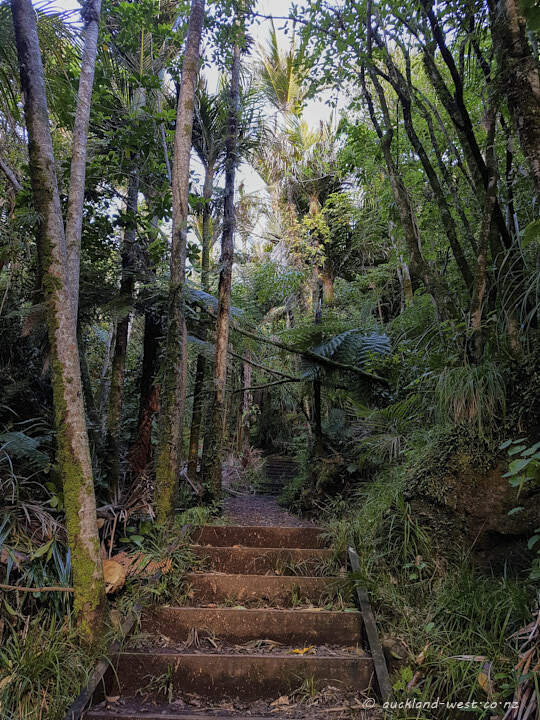 A popular walk in the bush near Huia. 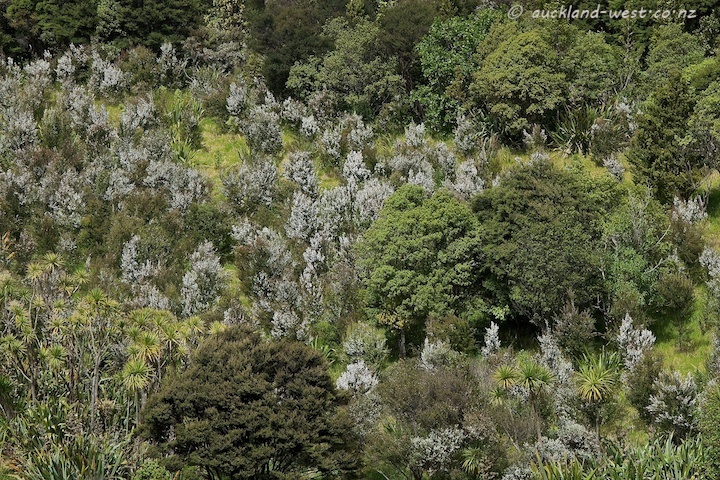 Officially, winter has already started. 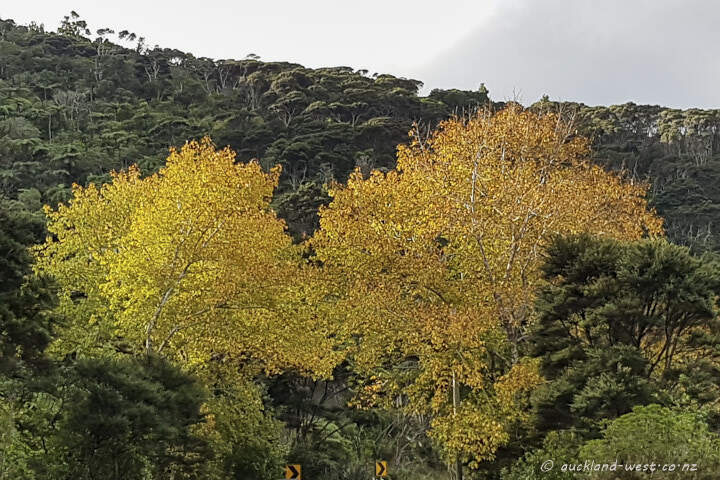 But on the first day of winter I was greeted with these beautiful autumn colours as I was driving back from Huia. 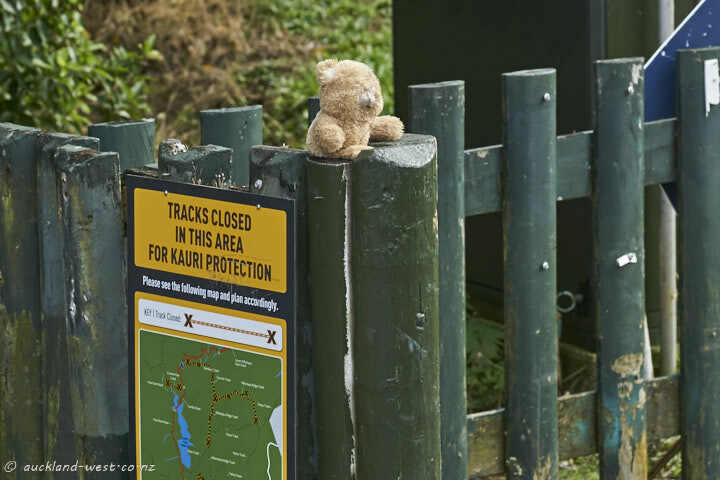 Teddy has taken residence at the gate to the Lower Huia Dam, drawing attention to the signs about track closures (to protect healthy stands of kauri from the dieback disease which is spread through foot traffic). 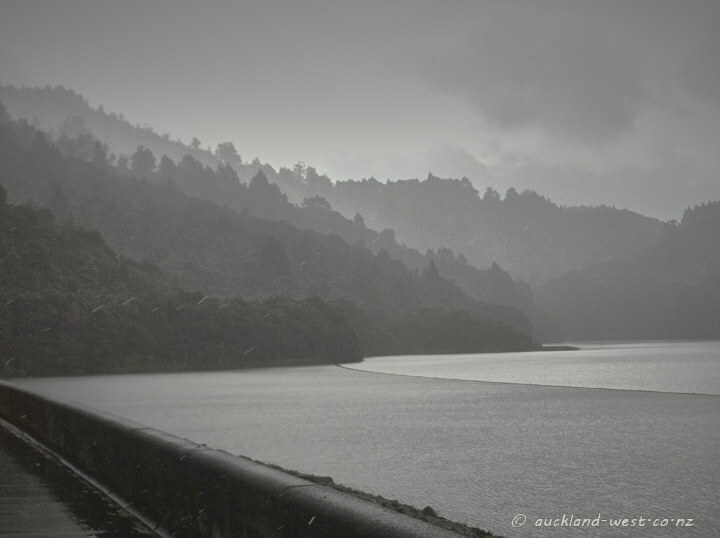 The westerly blows rain laden clouds over the ranges, at the Lower Huia Reservoir. 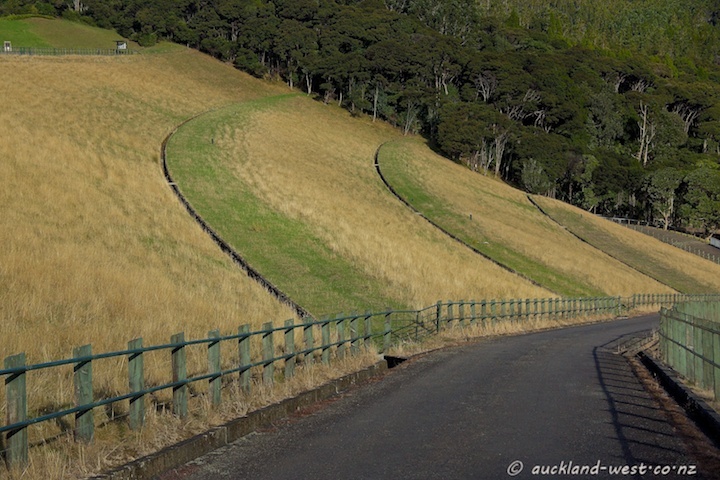 These drains are part of the Lower Huia Dam, one of two earth dams in the Waitakere Ranges (providing water for the city of Auckland). 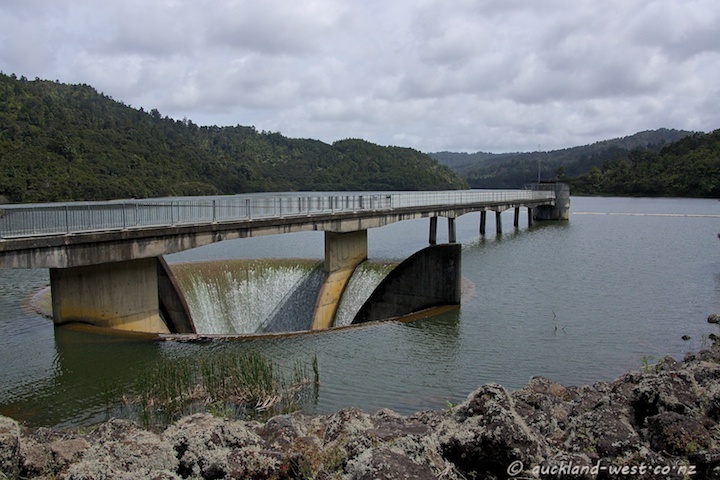 The construction of this dam was completed in 1971. 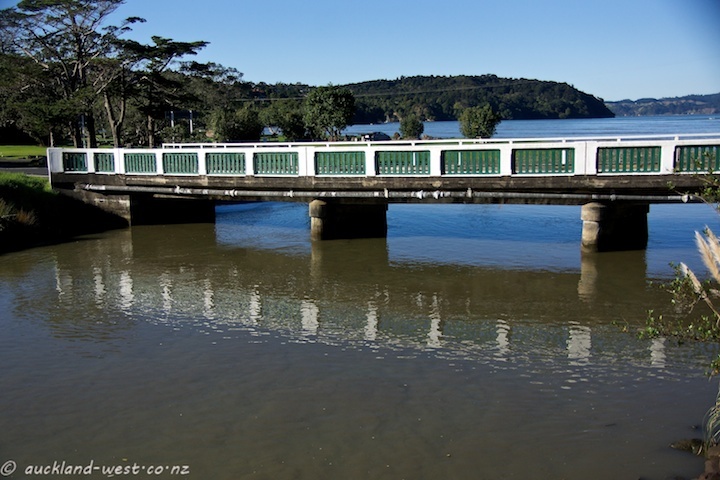 Of the five reservoirs in the Waitakeres, this one has the largest capacity. 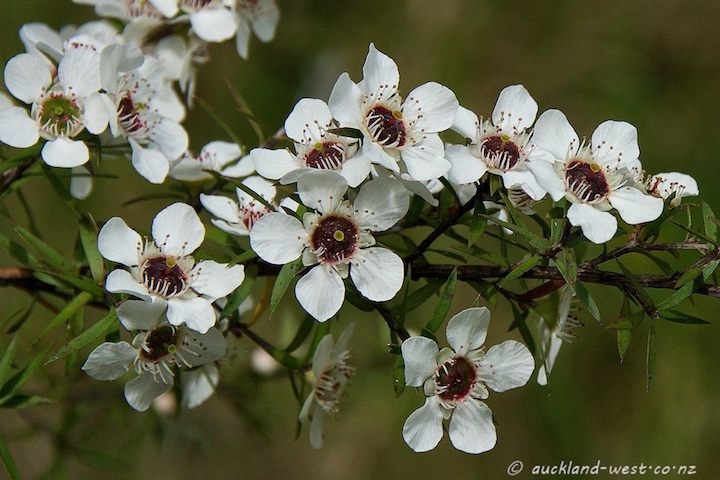 Manuka trees are in full flower at the moment, lots of them on the road to Huia. 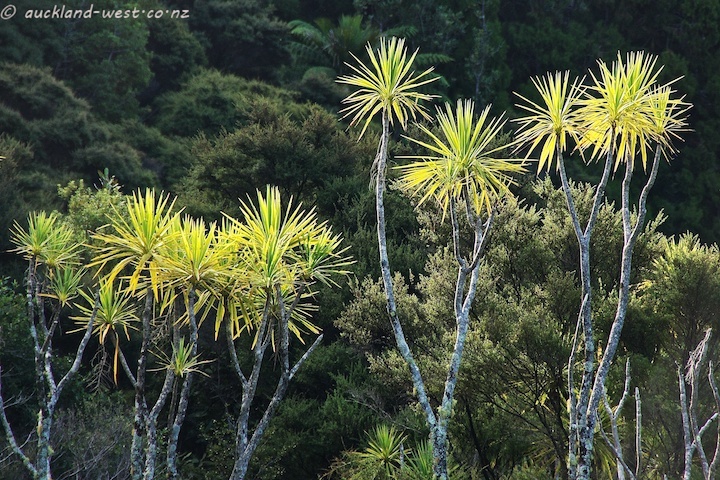 These pictures were taken near Lower Huia Dam. 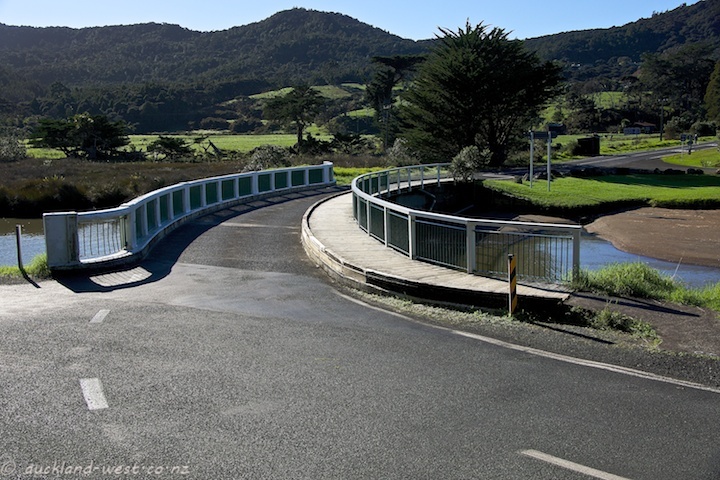 Huia Bridge crosses the Huia Stream next to Huia Domain. 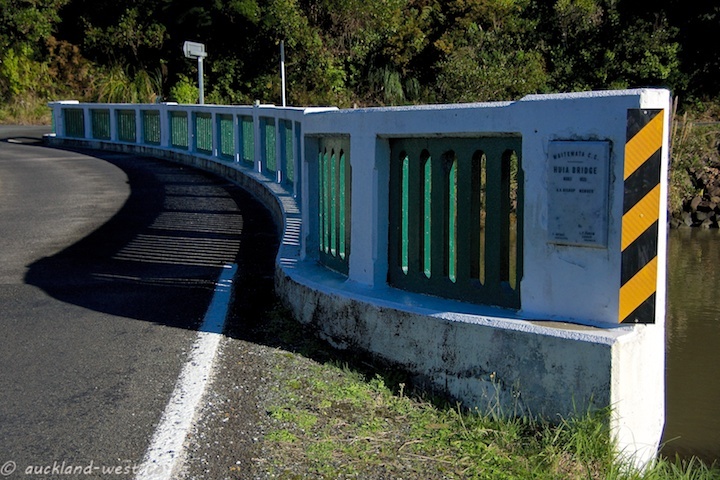 A one lane bridge (traffic going west gives way to the opposite direction), it was constructed in 1935.